BossLogic has made quite the name for himself on Instagram thanks to his impressive superhero fanart. His talent has also gotten him shout outs from celebrities like Jake Gyllenhaal and Ben Barnes. Now, the artist’s work is about to reach an even wider audience. Via CBR, Marvel has enlisted BossLogic to craft an official poster for Avengers: Endgame. You can check out what he came up with below. The poster is exclusively available to Atom Tickets customers. 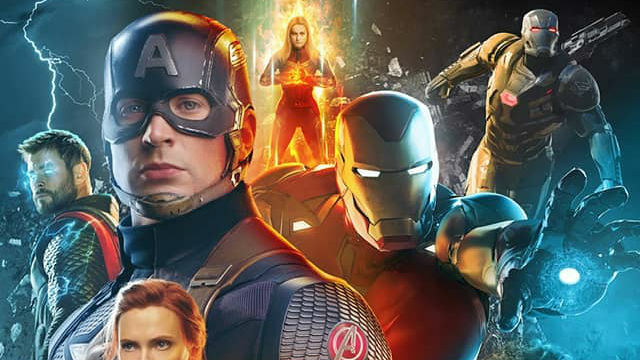 Once fans secure their tickets to see Avengers: Endgame, they can add the poster to their shopping carts. It features the movie’s surviving heroes encircling a blazing Avengers logo. Quantities are said to be limited, so act accordingly. BossLogic’s fanart also consists of mock-ups of what certain actors would look like playing superheroes or their villains. Some of his fancasts include Ben Barnes as Batman and Bryan Cranston as Mr. Sinister. He has also created humorous mash-ups combining superhero movies with other films, including a trio of Endgame posters inspired by Jordan Peele’s Us. However, he doesn’t only dabble in comic book fare. He frequently tackles Mortal Kombat characters and recently imagined Henry Cavill headlining an live-action adaptation of FX’s Archer. What do you think of BossLogic’s Avengers: Endgame poster? Will you try to buy one for yourself? Let us know in the comment section below!